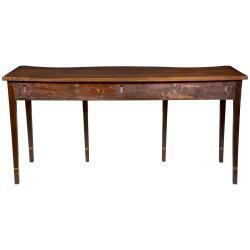 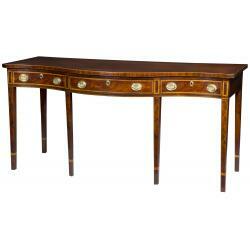 This is an outstanding server with a well developed serpentine front that is quite high style. 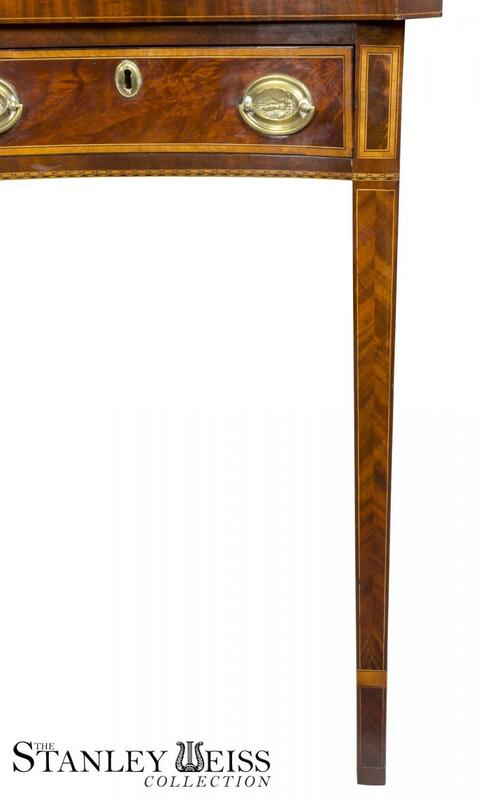 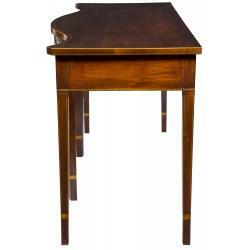 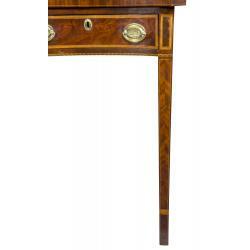 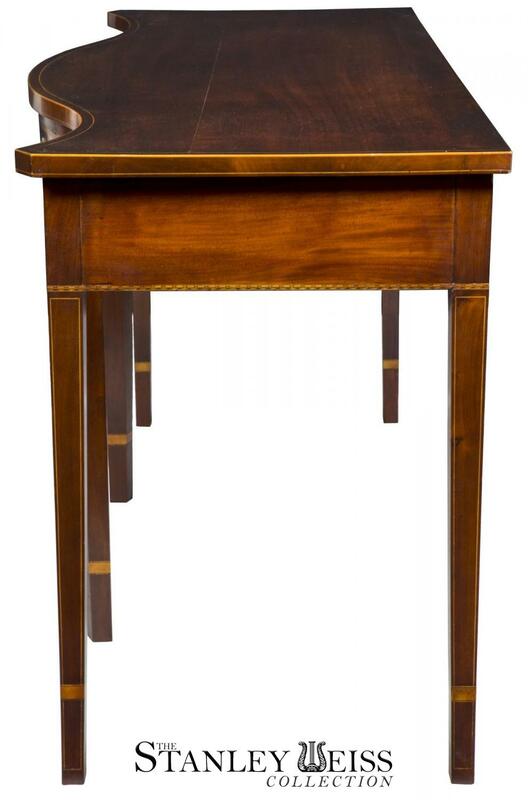 Note the bookmatched herringbone mahogany legs and the satinwood inlay around the drawers. 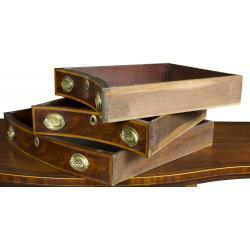 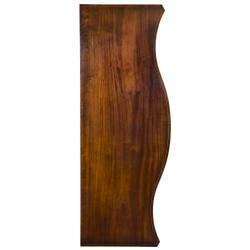 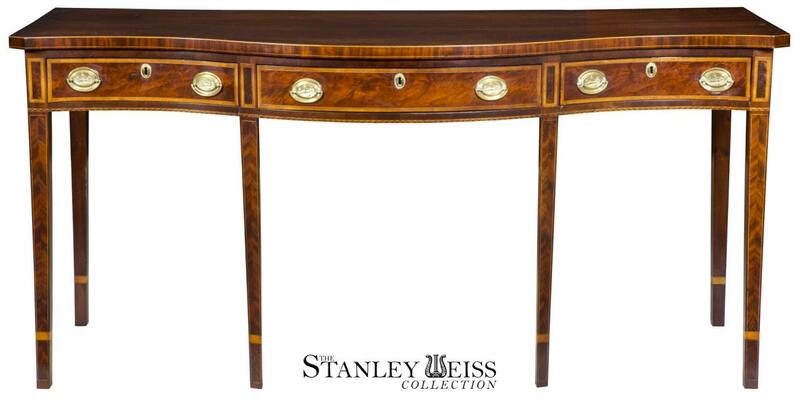 The top is a beautiful solid ribbon grain mahogany, all of the best quality. This piece obviously had a good home through the years, and it has been French polished. 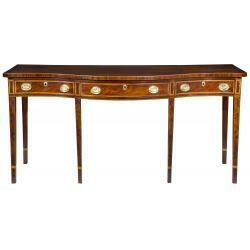 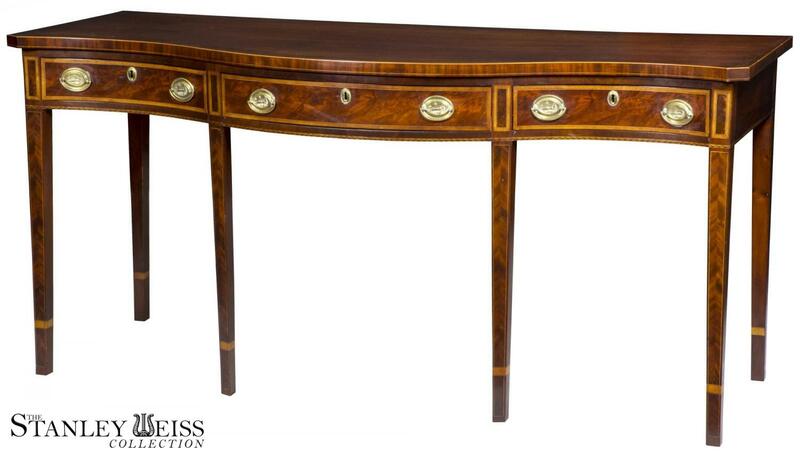 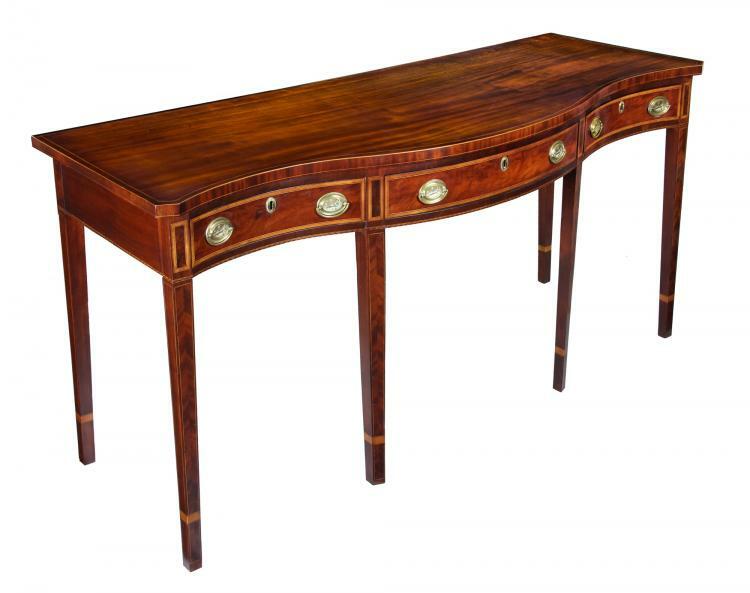 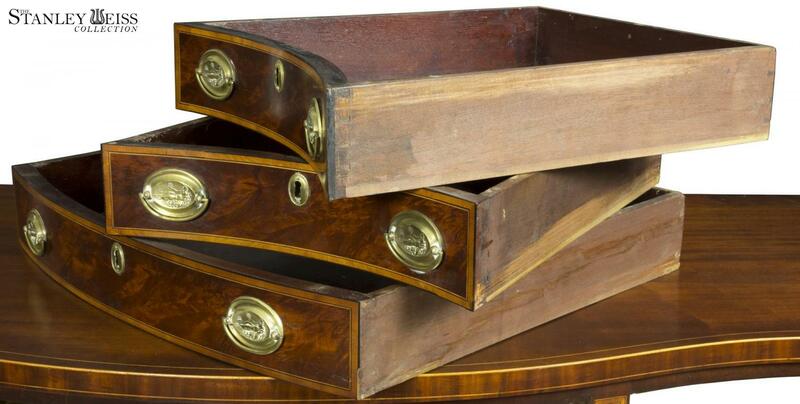 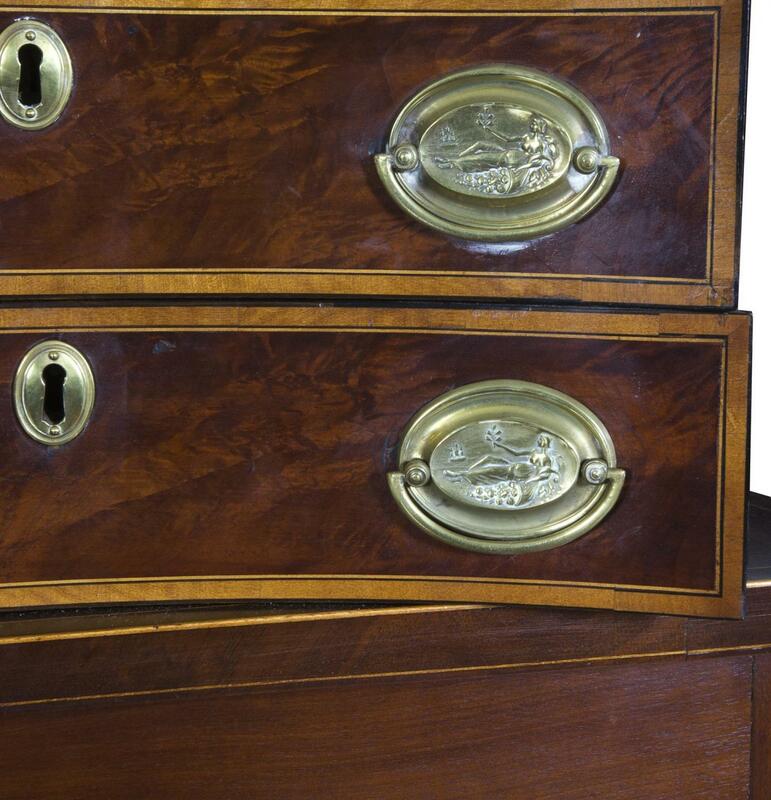 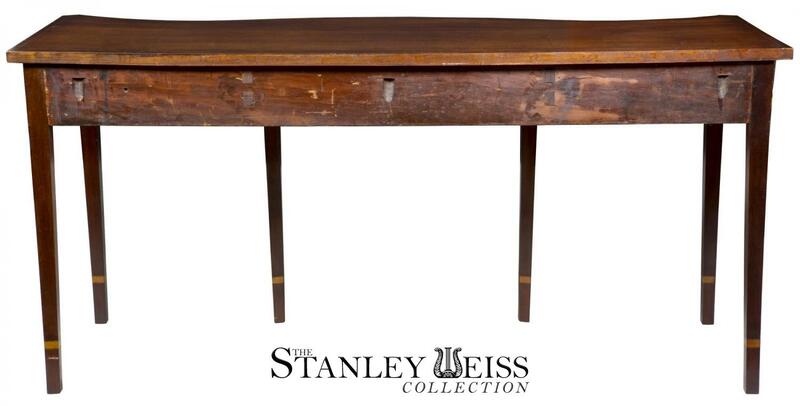 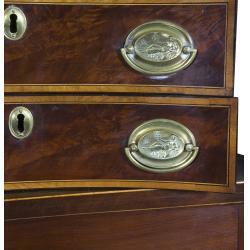 Note the serpentine drawers conform to the top, accentuating a piece with curvaceous style.